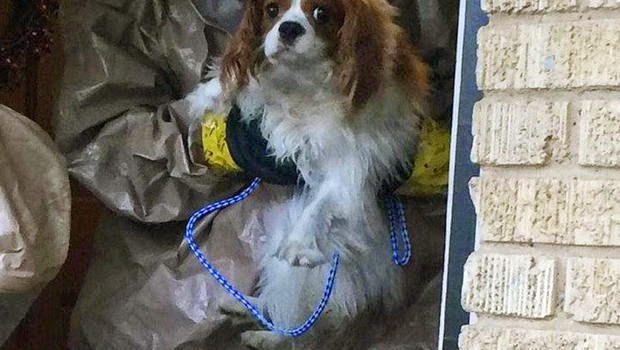 This past Saturday morning, Engine 31 responded to a construction site where a dog had become stuck in an elevator shaft. A woman reported that a pack of dogs had chased her in there and she had jumped to safety but one of the dogs had gotten stuck. Firefighter Josh Wallace put on his bunker pants with gloves and a helmet, and dropped a ladder down into the hole. Firefighter Wallace made contact with the dog and used a piece of webbing to make a leash; he then climbed out with the dog in his arms. 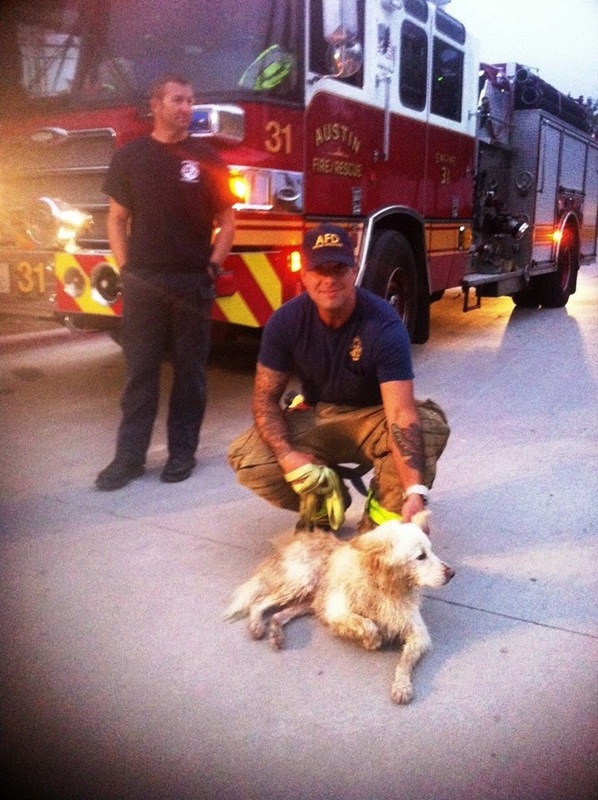 The dog didn’t have any tags, so the crew contacted the Austin Police Department who then called Animal Control. Once they arrived, the dog’s microchip was scanned—she lived just a few blocks away and Animal Control took her home. 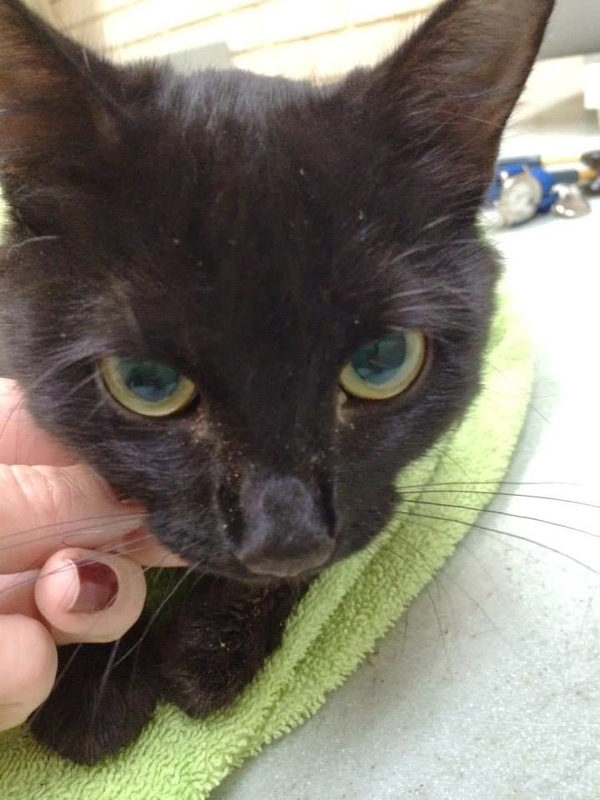 A happy ending and a testament to the importance of having your pet microchipped! It was a puuuuuurrrrrr-fect rescue! About 5:30 p.m. yesterday, a concerned citizen walked up to Station 2 and reported that there was a cat stuck in a drain at the University Baptist Church located at 2107 San Antonio. The Engine 2/A shift crew—Lt. 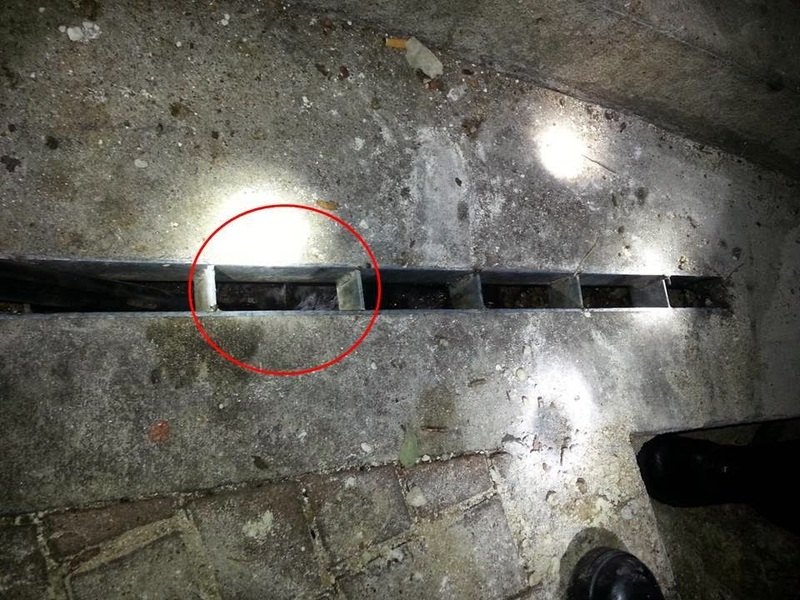 Matt Heck, Fire Specialist Dave Skowron, Firefighter John Wier, and Firefighter Adam Aguirre—drove up to the church where they found the small black cat wedged in a very narrow concrete drainage system. The cat could not move forward and was unable (and unwilling) to walk backward and get turned around in the narrow pipe. After almost two hours trying to get the cat out, and with the permission of the church, the decision was made to cut the concrete. Rescue 14’s Capt. Matt Rush, Fire Specialist Brein Brown, Firefighter Jason Rodriguez, and Firefighter Jacob Whittington joined in and, utilizing a concrete saw and firefighters’ ingenuity, the cat was rescued unharmed. The ingenious part was how the crews were able to pull apart the pavers to access the concrete, place a protective curtain between the area they were cutting and the cat, and then make a cut that was just big enough to remove the cat but at the same time minimize the damage to the drainage pipe. 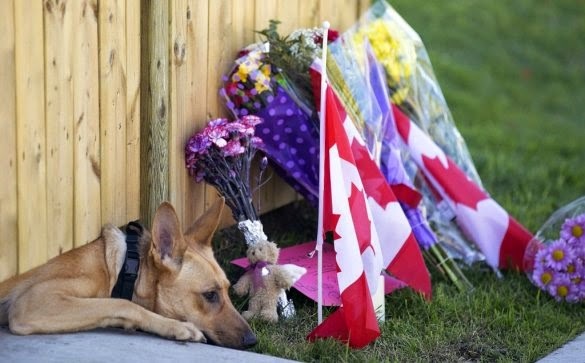 The cat had no collar or identification so Lt. Heck who, along with his wife, Leah often care for stray cats, had Leah meet him at the scene with a cat carrier. 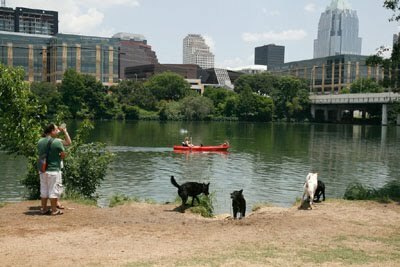 The vet techs at Austin Vet Care @ Central Park (special thanks to them!) that checked out the kitty after hearing the story started calling the female cat, "Piper." Piper, now her official name, won the heart of Lt. Heck and his wife, and so will be joining their family permanently! 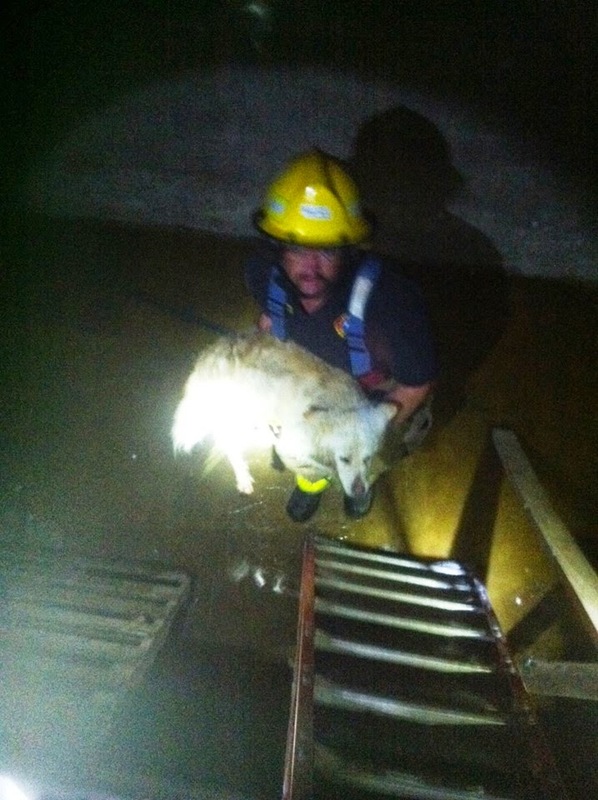 After the rescue, the firefighters diligently restored the area around the drainage pipe. Great job Engine 2 and Rescue 14! !